Neither was expected to ski onto a podium in Sochi, but their showing makes a great case for closing the eligibility loopholes that allow moneyed pranksters to dress up as Olympians. Morrone—listed at 48 years old, which would have made her the oldest Olympic cross-country skier of all time by seven years—didn't even show up for the 10K women's classic on Feb. 13, claiming injury. (She was the only one of the race's 76 entrants who didn't start.) A day later, in the 15K men's classic, di Silvestri, 47, made it out of the starting gate but gave up just a few hundred meters later, claiming illness. He was reportedly the only starter who failed to make even the first checkpoint. If it's just exposure the couple wanted, though, they got it. Their gag received mostly puffy press leading up to the games and until their no-shows. One representative example: Time magazine, which from the looks of this piece has sacrificed even more of its dignity than the winter games have, included a tale about di Silvestri and Morrone in a Valentine's season online package called "Athletes in Love," with the subhed, "TIME uncovers some love stories of Olympic proportions." The better story, though, is the one the press didn't pursue, the one about the couple's background, which under scrutiny appears to be full of exactly the sort of petty vanity and low-rent corruption you would expect of a middle-aged couple who bought their way into Olympic competition. Now this is what the games are all about. Take, for example, NBC OlympicTalk's write-up of di Silvestri's pre-Olympic sportsmanliness. The piece says he "was a two-time state wrestling champion" and that he "rowed for a national championship team at Georgetown," tidbits likely sourced to di Silvestri and repeated in countless wire stories during the games. Neither claim holds up. Di Silvestri's Wordpress blog and LinkedIn pages, presumably self-authored, don't mention state titles, but both boast that di Silvestri "earned … three New York Downstate Wrestling Championships while a student at Monsignor Farrell High School." In the "About Me" portion of a site called CVShare, di Silvestri describes himself as a "New York Downstate Wrestling Champion as well as a three-time New York City Wrestling Champion." At Flavors.me, di Silvestri's bio says "he was named the New York Downstate Champion in wrestling." Alas, there's not much evidence of any such championships outside of the NBC bio and di Silvestri's own claims. There is no mention of any city or state championships anywhere in his Monsignor Farrell yearbook entry (class of '85). And a 2000 article for the Staten Island Advance, a local newspaper, about di Silvestri paying $100,000 for naming rights to the wrestling room at his old high school, alerts readers to no schoolboy titles of note. When he was subsequently inducted into Monsignor Farrell's Hall of Fame, the write-up notes that di Silvestri was a "Staten Island Advance All-Star" as a wrestler, but says nothing about city or state championships. Steve Meehan, a wrestling obsessive from Long Island who has compiled a comprehensive history of the New York state championship meets from 1962 through last year, says his records show that di Silvestri "was never" a state titlist. In fact, di Silvestri's name doesn't show up anywhere in Meehan's database, which includes the top six finishers for every year in the last half-century. The state meet is called the New York State Public High School Athletic Association championship, but Catholic school wrestlers compete for NYSPHSAA state titles; in the championship meet in 1985, di Silvestri's senior year, Daryl Page from Elmira Notre Dame, a Catholic school, captured the first of what would be three New York state championships. And Meehan's database shows other Monsignor Farrell wrestlers have placed among the top six finishers six times in the meet's history. It's possible that di Silvestri won a Catholic wrestling title during his days at Monsignor Farrell—Catholic high schools have their own tournaments, too. But even then, Meehan said, it wouldn't be kosher to call him a state champion. Given the NYSPHSAA tournament's all-comers entries policy, he said, a non-winner claiming a state title would be "pretty misleading to the general public." As for di Silvestri's crew claims? NBC's report that di Silvestri "rowed for a national championship team" in college is echoed on his LinkedIn resume, which says he "rowed for the national champion Hoya crew team." Several of his other online bios also have some form of the same self-congratulations about boating prowess. The NCAA holds a crew championship for women, but not for men. However, the Intercollegiate Rowing Association Championship Regatta, an event that dates back to 19th-century races on the Hudson River, has long been considered the de facto national championship of college boating for men. Di Silvestri attended Georgetown in the late-1980s. Sadly, no boat from Georgetown won an IRA championship during di Silvestri's years at the school. This isn't to say that Hoya rowers were slouches back then. A crew from Georgetown did win the lightweight-eights bracket of the 1989 Dad Vail Regatta, an event held annually on the Schuylkill River in Philadelphia. The Dad Vail attracts smaller (and smaller-budgeted) college-boating operations than the IRA regatta, but in some crew-centric corners it is considered "the national championship for the little guy." So would that make di Silvestri's boast of having rowed for a national champ at least semi-legit? Well … no. Whit Fosburgh was Georgetown's crew coach in the late-1980s, when di Silvestri matriculated. Fosburgh says he remembers di Silvestri trying out for a spot in the Hoyas' top boats and sharply recalls him as a tireless worker who was well-liked by the school's boaters. But, as Fosburgh saw things, di Silvestri just wasn't talented enough ever to row for Georgetown in the big regattas. "Gary wasn't in the boats that medaled those years," Fosburgh said, "so it wouldn't be accurate to say he was on the medal stand, getting the medals around his neck. But working as hard as he did for as little success as he had, that made him very popular." Meanwhile, what's left out of the stories about his wife's Olympic bid proves far more interesting than what made the cut. You wouldn't know it from all her Sochi press, but Morrone got involved with Olympic skiing a long time ago. In fact, Morrone got caught up in the massive international scandal that broke out in the 1990s over alleged fraud in the awarding of international winter sports competitions, including the Olympics. The brouhaha peaked in 1998 when Marc Hodler, an attorney in Switzerland and longtime International Olympic Committee official, told reporters that fellow committee members had been selling their votes in exchange for money and gifts for years. Hodler said the Italian lobby, directed by Fiat head Gianni Agnelli, was particularly aggressive. The whistleblower took lots of heat from fellow sports administrators who should have cheered him on for exposing corruption. IOC head Juan Antonio Samaranch, for example, not only said Hodler should have kept his corruption charges in-house, but he also publicly defended the accused. "We are extremely sorry if these statements have caused pain and embarrassment to the Agnelli family and Fiat," Samaranch said. But after Samaranch's blast at the Swiss official, Howard Peterson, a former president of the U.S. ski team and IOC voter, came out in support of Hodler. Peterson seconded the claims Hodler had made against Fiat—and went so far as to name more names ending in vowels. Peterson said that during the debate over who would host the 1997 skiing world championships, Fiat offered him two of the company's cars in exchange for voting to award the event to Sestriere, Italy. He now says he was told one of the Fiats would be shipped to him in the U.S., while the other would be kept for him in the European city of his choice to use during his intercontinental trips. Peterson said the alleged perps from Italy were so brazen that they even gave him their business cards while telling him to call as soon as he was ready to accept the four-wheeled bribes. One of the card-carrying alleged bribers who approached Peterson was a Fiat marketing official named Angelica di Silvestri. However, Howard Peterson, former president and CEO of the U.S. ski team, corroborated Hodler's charges. Peterson said two executives—Fiat President and CEO Vittorio C. Vellano and external relations manager Angelica DiSilvestri—offered him two cars before the vote to decide the host city for the championships. Angelica di Silvestri, eh? 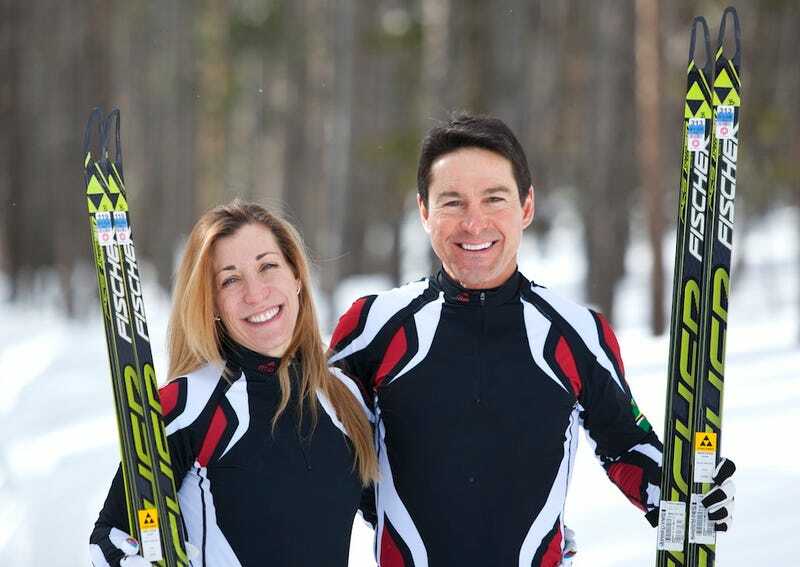 According to a story about the Olympic dreams of Gary di Silvestri and Angelica Morrone, they were married in 1990. Through the years she has used her maiden and married names interchangeably. Angelica Morrone has twenty years of experience in the financial markets. She began her career at Fiat USA, in the Financial Relations Group. Ms. Morrone's responsibilities included the ongoing financial and strategic analysis of the automotive, biotech, farm equipment, luxury goods and steel sectors, all core businesses of the Fiat Group. After three years, she was appointed to head the Division and, in addition, assumed responsibility for the financial marketing activities of Fiat. Peterson now serves as general manager of Soldier Hollow, a cross-country ski resort in Midway, Utah. He's still mad at how the top Olympic officials went after Hodler for outing Fiat, when by then everybody within IOC knew how dirty the process had become. Hodler, he says, "was a good man who got beat up for being truthful. It was almost like a Lance Armstrong situation, where people got attacked just for telling the truth. Everybody knew what Fiat was doing." If the Italian lobby was indeed dirty, then the dirty deeds paid off: Sestriere, a town in the Alps that was built up as a ski resort in the 1930s by Fiat founder (and Gianni's dad) Giovanni Agnelli, was awarded the 1997 world ski championships. Italy then used its experience hosting that event as an argument for why it deserved to host the 2006 winter Olympics in nearby Turin, where Fiat is headquartered. Peterson says a toy Fiat was sent to him in the summer of 1992, just after the Sestriere vote, by a perturbed skiing official from Laax, a skiers' mecca in Switzerland that came in second to the Italian city in that balloting. "How the Italians managed to outmaneuver us will probably always remain a puzzle…," read the sarcastic note from Switzerland that was taped to the toy Fiat, along with a 5,000 Lira note. Peterson has held on to that trinket, cash and all. Peterson says he's not sure what became of Angelica di Silvestri's business card, however. He chuckled when he was told that the same person he accused long ago of trying to bribe international skiing administrators recently marched in the opening ceremonies on behalf of a Caribbean nation, having by all appearances gamed the system again. "People do that," he says. As of Friday, Morrone and di Silvestri, injury and illness be darned, were scheduled to attend Sunday's closing ceremony, according to a staffer in the Dominica Olympics office in Roseau, the capital city, who identified himself as a "support officer" for the team. He also said his office is not aware if Dominica will hold any events celebrating di Silvestri and Morrone's Olympic escapades, or if the new citizens intend to visit the country anytime soon.